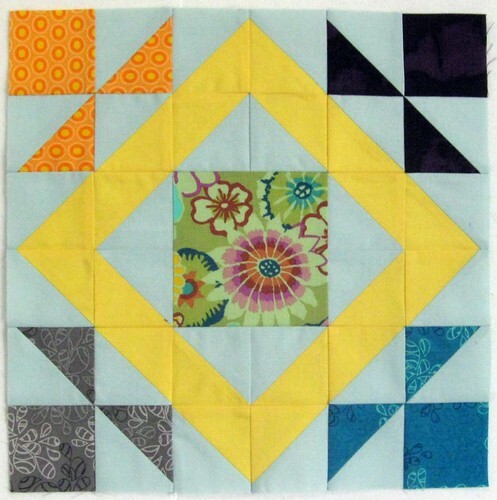 I've finished my blocks for week 2 of the Summer Sampler Series quilt along on flickr. 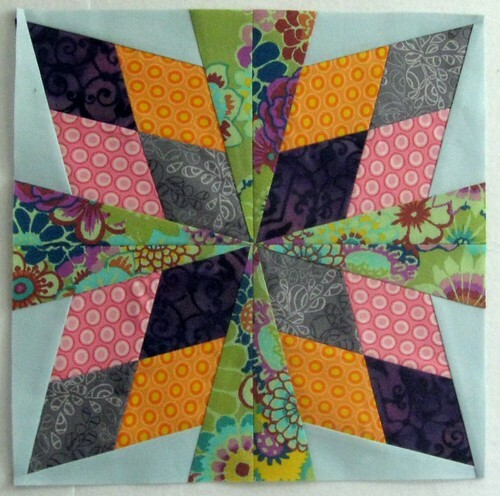 I quite like this block and I tried really hard to be accurate with my piecing. I would have preferred to piece the path (yellow) as a square but my brain couldn't handle the math and the alternate tutorial for that method wasn't posted yet when I worked on the block. I made sure not to use a print for the path because it broke up the appearance of the square. Some blocks don't need fancy names and this is one of them. "Star" says it all. :) This was paper pieced. This is my favorite block so far. I decided to add the green floral in because I am trying to challenge myself to see other possibilities for these blocks than what we are given in the tutorials. The tutorials are fantastic, I just tend not to think about other ways I might attempt a block--different placements of lights and darks, etc., so I want to work on that. The diamonds in the center are pieced and then the outer sections are paper pieced to the diamonds. I liked doing this combination. 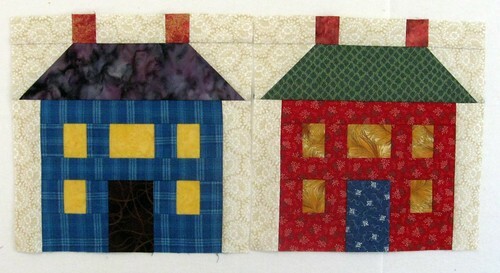 I also made a couple more house blocks for my Cracked Pots quilt border. The blue house is my current favorite. I think I need to crank up my house building if I want to get this quilt top done any time soon. I am setting myself a goal of 4 houses per week for the next four weeks. 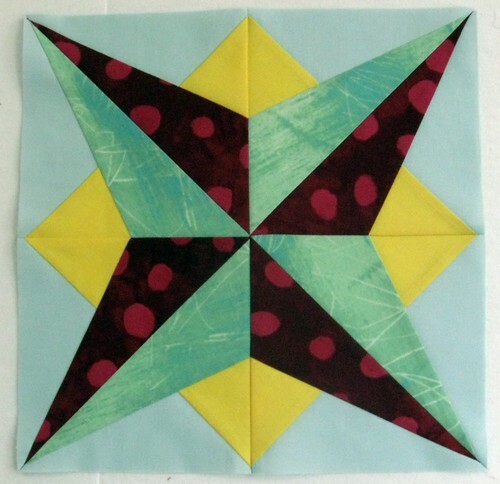 Then, I will need to make four log cabin-style stars and hopefully, the top will be finished. One Cable Mitts: One Fingerless Glove Finished. Christmas gift. Shark Mitts: I stated mitt number 2. Mitt #1 has a body but no teeth or fins or eyes. Once I get the second one crocheted, I'll add them. 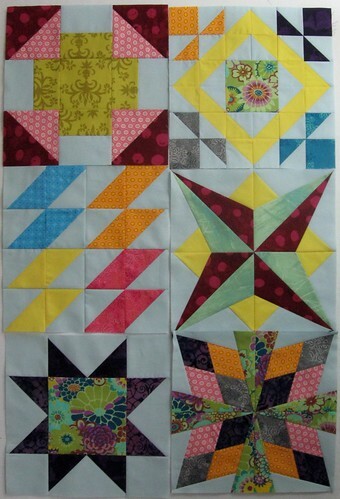 These Summer Sampler blocks are turning out great Misty. I love the green floral fabric showing up in several of them...I think that will really tie them all together. Looked at the shark mitts pattern...very cute too! I'm glad you liked the shark mitts. They're a really clever pattern.